How is a mortgage survey done? A legal description will also be given for the property. In most all instances on a closing or lot survey the legal description will be something similar to “Lot 2, according to Happy Estates Subdivision, as recorded in Plat Book 30, Page 10, in the Office of the Judge of Probate in Davidson County, Tennessee.” This legal description gives all of the required elements for anyone in the future to be able to relocate this parcel of land. The subdivision map is typically recorded in the County Probate Office in a Plat Book or Map Book. Anyone has access to review this map and get a copy of it. A mortgage survey is one type of survey you might have done on a piece of property you want to purchase. While a physical inspection focuses on the condition of the building, a mortgage survey investigates the property itself. A mortgage survey is a type of property survey that can reveal a lot of information on possible problems. Other property surveys will reveal differing levels of information. A land surveyor can advise you which type of property survey would meet your needs. By choosing the most appropriate type of property survey, you can avoid a lot of the problems associated with buying property. When considering properties as a prospective buyer, the first information to look at is the Home Condition Report, which may already have been prepared by the seller. This will disclose some information on the property, but remember that it may be biased, as it is coming from the seller. 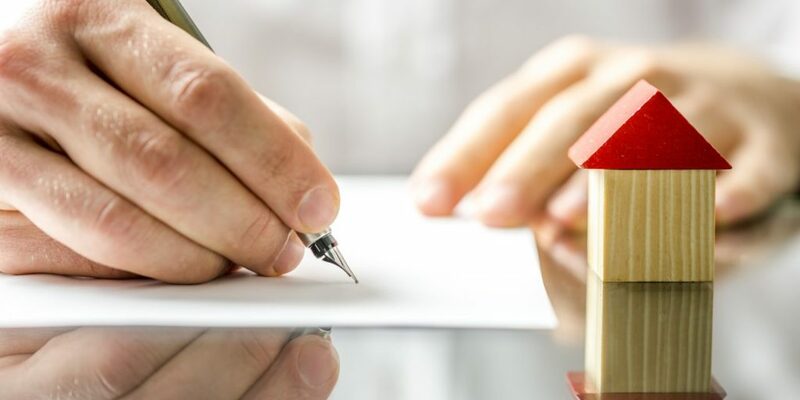 Always get a reliable third-party report that provides information on the exact condition and value of the property before committing to the deal. 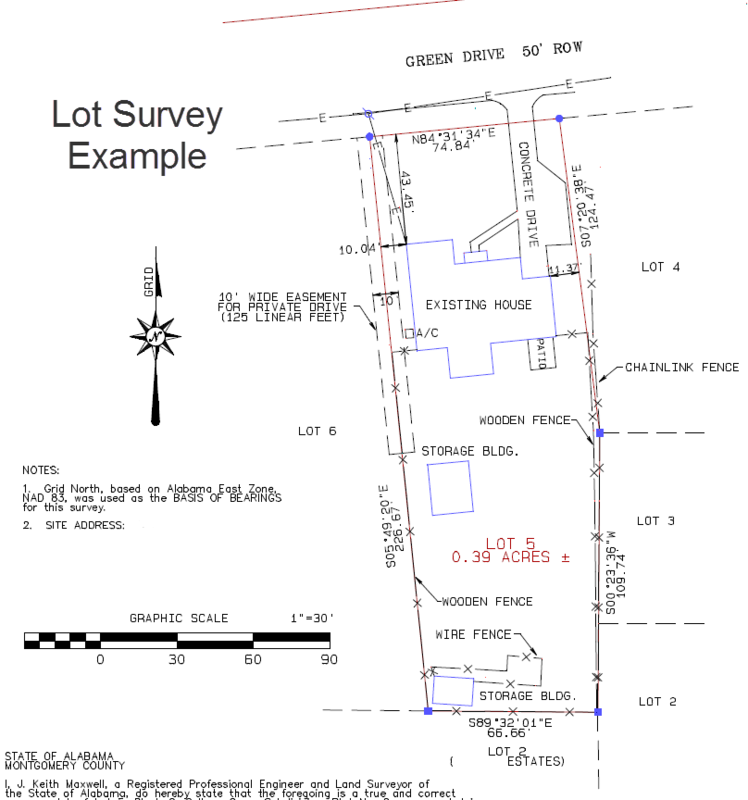 Please give us a call at Nashville Land Surveying at (615) 645-1404 or better yet, fill out a contact form request if you have additional questions about your survey or would like to have a lot survey or closing survey performed. How does a lot owner know the legal boundaries of their land? Can they really rely on that fence or landscaping edge as a true and perfect property line? The lot and block survey system provides a way to be sure. Lot and block is the latest development in real estate survey methods. It builds upon previous methods, a subdivision of a larger parcel, and can be used to clearly identify properties in urban and suburban areas. A plat is the recorded drawing usually located at the local probate office. Using the subdivision process, the land is divided into smaller chunks. Each chunk can be further broken up, or subdivided, until the whole plat resembles something like a city map. Each subdivision of a lot becomes a unique legal property. Property owners can also purchase adjoining lots as an addition. After the subdivision process is complete, the plat is recorded with the local government. This recording becomes the legal description of land and lots within the city. These descriptions are kept available to the public for a variety of uses. This description can specifically identify a property as part of a real estate sale or for tax assessments. It can also be used to defend any legal claims that involve the property boundaries. a description of the map’s place of official recording (e.g., recorded in the files of the County Engineer). The legal description of a 2.5-acre (10,000 m2) property under the Lot and Block system may be something like; Lot 5 of Block 2 of the South Subdivision plat as recorded in Map Book 21, Page 33 at the Recorder of Deeds. Some simple maps may only contain a lot and map number, such as Lot C of the Riverside Subdivision map as recorded in Map Book 12, Page 8 in the office of the City Engineer. The more technical details of the legal description are all contained in the recorded plat map and there is no need to reiterate them in a deed or other legal description. By contrast, a Public Land Survey System legal description of the same 2.5 acres would be something like SW 1/4 SW1/4 NE1/4 SW1/4 SEC 18 T1S R1E. The metes and bounds description may be something like, Beginning at a monument located at the SE corner of the property now or formerly of J.W. Smith; thence north 330 feet to a point; thence east 330 feet to a point; thence south 330 feet to a point, thence west 330 feet to the place of beginning. Please give us a call at Nashville Land Surveying at (615) 645-1404 or fill out a contact form request to have a lot survey or closing survey performed.